Ok first of all, hello everyone. Just bought a lupo GTI and am obviously interested in modifying it. Have been browsing and have most likely come to a decision on the mods I would love to purchase - they are as follows. 1. How much Horsepower gain would I be yielding with all these modifications in combination? 2. Is there anything I am missing or you think would be good for the build? 3. How much would the following modifications cost to be fitted? 4. Any personal experience on the above modifications? 1. Not much. Maybe a couple of HP. 2. Most of that list will affect handling. 4. Yup. Concluded most is cosmetic but cool. to get more hp, you need to mod the lump. No question. Cams, inlet plenum, exhaust manifold, injectors, map, compression ratio. Even then you'll only get maybe another 20hp. To get serious power you need to breathe on it. Not much for quite a lot is the answer. Your engine mods make it breath a bit better but do nothing more, a remap might get you 10% more. 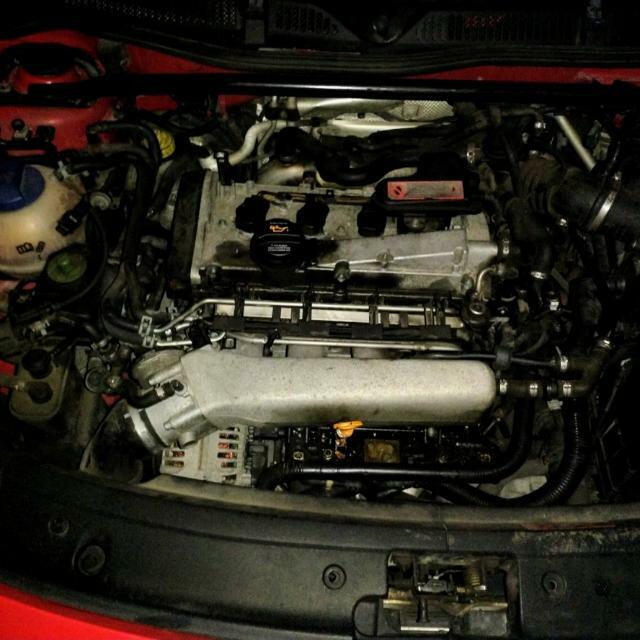 It's not a turbo engine so remap gains will be small. You would need some expensive engine work to go higher. You would have to spend £1000s to get 200+ out of it, cheapest option quickly becomes engine conversion to something with a turbo on it if you want big power. A well set up GTI with 140 - 160hp NA engine is still a damn nice car to own though. Sounds good, im hoping for around 140hp with the mods I have listed above - what are you currently running? Also would be great to have a link for the head and came. Will look forward to hearing your results! 140 out of a 135 car, healthy engine might give you that. Aim for more but negate the bhp figure and focus on the torque. 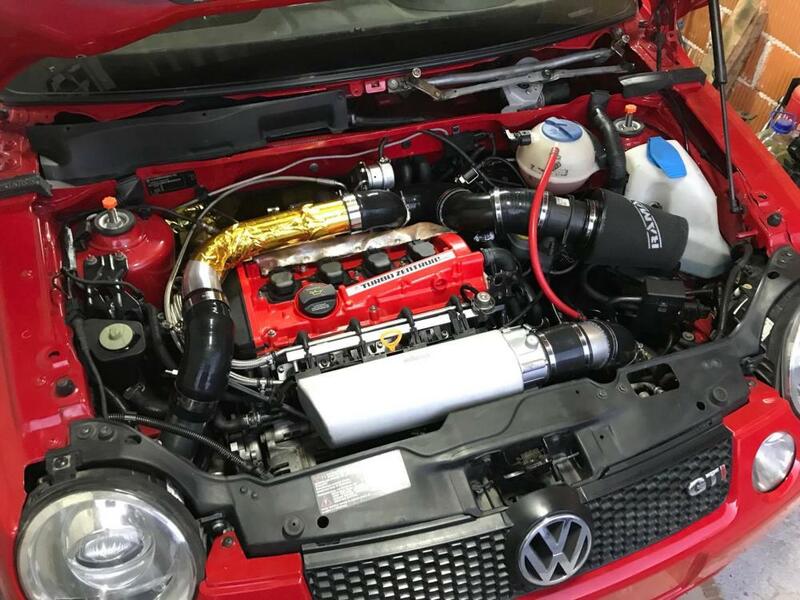 People say standard Gti's come with 130 - the Kam manifold and system is a 10bhp bolt on part, so in theory if your engine is healthy, your at 140 already. But as already said you wont get the best out of it unless its re-mapped. I got mine already converted with the Kam manifold & system, fast road cams, short runner dbilas intake manifold & cone filter +cold feed - it was re-mapped and apparently has 160bhp - Sadly the PO did not give me the name of the company who did mine, but assume it was somewhere near Newcastle or Sunderland. Driving it around town its nice and docile it all just goes a bit mad above 6k revs when the cams kick in. All the items in your list are bolt-on, so shouldn't take too long to install. Unless you recently replaced the shocks I would go for a kit of matched springs and shocks or better still coilovers - rather than just springs alone. 280mm carrado G60 disc conversion is the the best cost/improvement there is. If you were to go as far as cams, look into getting the head ported - intake is already pretty good, but exhaust is apparently restrictive. When it was dyno’d it was just a 4-2-1 decat manifold, Intake with a cold air feed and lightened flywheel. It’s now got a port and polished head, polished inlet manifold and Piper cams. However, who wants to make an offer on a complete aum set up ? Can be driven on the very nice fresh unit road at present. Corrupting, easy power from a 1.8t is very tempting, but when you look into how much work is involved to get there + the weight gain it takes the shine off for me too. But when they're cheap and accessible enough you should always consider it. revs to 8k + - so its pretty "revvy"
I would swap a whole 1.8t for an LSD in a Lupo box all day long. Has anyone ever fitted ESP to a loop? Use ABS to control the traction? Trying to think which vdubs of same era have ESP.... R32? RS4? All LHD GTi's came with ESP. No idea how easy it is to retro-fit tho. Shorter to avoid fouling front panel? If true, should be a piece of p!$$. Never owned a gti, but if they come with abs and an ecu (tick and tick), it's most likely that all you need to do is run some cable from the abs pump controller to the ecu. Then activate the ESP subroutine in the ECU. It's a very simple piece of software- i once wrote a launch controller using the ABS sensors. I can't think of a single reason why our cars didn't come with ESP. Do jap imports come with it? k sport adjustable coilver, yes plenum was cut and shortened for about 3cm/1.2inches ,as Rich said to avoid cutting front panel which i wanted to avoid completley, but after gettin mishimoto IC ❤️ which i small fat f...er, there was some cutting needed, front bumper mount and those small plastic parts which are located where ic pipes come.